Celebrate Women! International Women's Day is on the 8th of March and celebrates the acts of courage and determination of extraordinary women across the globe. Celebrate the special women in your life or perhaps the women who you admire, with Roses Only's carefully curated range. Here I am holding on to a dozen of Roses Only's beautiful signature long-stemmed roses in a gorgeous Cherry Brandy colour! I'm also giving away a dozen of these beautiful roses, read on to find out how to win. Shouting out to fellow dog-lovers here! Floral Garage has collaborated with OSCAS, an animal welfare shelter in Singapore, where they will be donating part of the proceeds from this product to OSCAS to help support their shelter dogs. Look at this adorable bouquet! Valentine's Day is coming and what's better than gifting your partner a super cute doggy floral arrangement, and help sheltered dogs in Singapore at the same time? This is such a perfect gift for a good cause too! As a busy year comes to a close, reward yourself with a gift of youthful radiance with the Bio-essence Bio-Gold collection. Featuring real 24K Bio-Gold flakes and powerful anti-oxidants, the range combats the early signs of stress-induced ageing, and restores your complexion’s suppleness in time for the festive season. Each time you apply gold flakes onto your face, the small particles get absorbed deep into the skin, which helps maintain your skin’s moisture level, leaving you with a hydrated, rich glow. The outcome? Fresher and radiant-looking skin! There’s a NEW 2-in-1 moisturiser from Eucerin: the Hyaluron-Filler Overnight Treatment! It’s super cool because a single pump freshly activates and dispenses an ideal balance of AHA Complex and Hyaluronic Acid! What’s special about this is that it actually responds to the needs of aging skin, and can be used both proactively to combat the first signs of aging as well as to rejuvenate skin which has already begun to age! The Hyaluron-Filler Overnight Treatment can help you to achieve rejuvenated, radiant and smooth skin! AHA refines skin texture & promotes skin cell renewal while Hyaluronic Acid hydrates skin & plumps up wrinkles, overall moisturizing skin and refining pores. Last month we went for a bridal shoot as a collaboration with a few lovely vendors and the final photos are out! 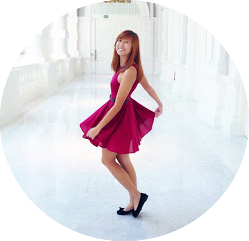 At the same time, let me share with you more about Singapore's first online-store Brides, The Label, where your dream bridal gown is just a click away. 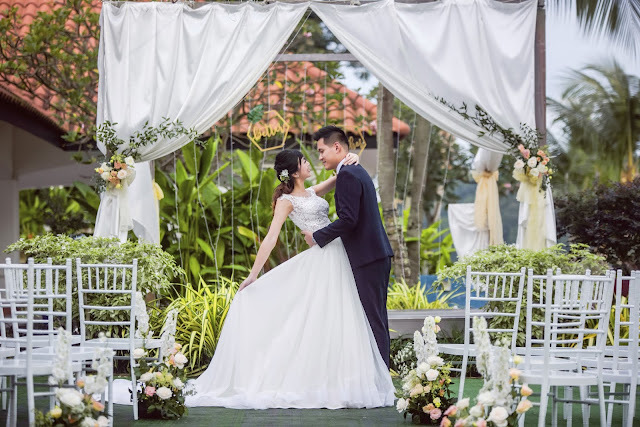 Brides, The Label is a wedding outfits online rental platform based in Singapore that brings you the best and hassle-free online shopping experience, where you can browse through the finest bridal collections for your wedding day.